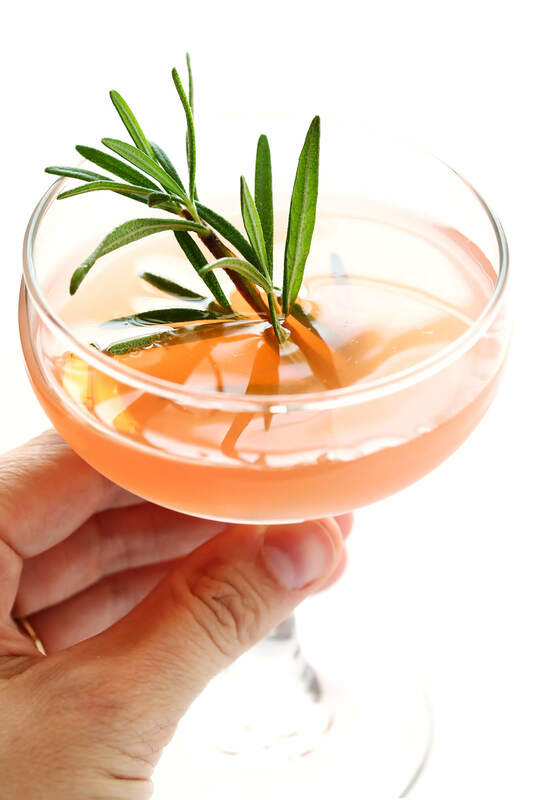 All you need are 3 ingredients and about 30 seconds to whip up this classic “Frenchie” cocktail with grapefruit, elderflower and gin. It’s so simple, yet so refreshing and delicious. Welp, it’s about that time. 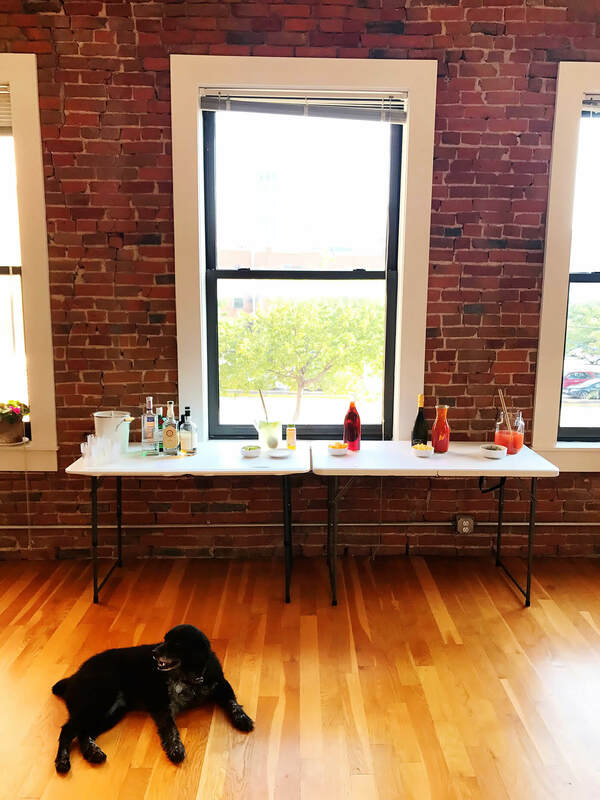 Ok, well actually, we gave away the bar cart when we got rid of all of our furniture in June. So we’re really talkin’ about a collection of random bottles hanging out awkwardly on the floor of our dining room right now. 😂 And when I say a collection, I do mean a legit collection. Between combining two household bars when we got married, receiving a handful of awesome gins and tequilas and mezcals as wedding presents, and hosting a bunch of parties and happy hours here this summer (which somehow always leave leftover bottles behind), Barclay and I realized this month there are lots of cocktails here waiting to be made and shared. I feel like gin is one of those alcohols that I really enjoy in cocktails, but rarely order when mezcal or whiskey is also available on a menu. And as such, we realized that we had a few nearly-full bottles of gin in our stash that needed to be used up. So we invited everyone over for a gin-only party, and I mixed up big batches of 5 different cocktails for everyone to sample — an earl grey tea cocktail, negronis, gin margaritas (margatinis), G & Ts, and the crowd favorite of the evening, this simple grapefruit elderflower cocktail. It was actually the easiest of all to make, with just 3 quick ingredients. But everyone absolutely adored it, and many of you asked about it on Instagram, so I wanted to share it with you. (And P.S. — if you’re not into gin, it can also be made with vodka.) So grab a bottle, and let’s mix up a round! This cocktail was actually inspired by a recent happy hour visit to Bluestem in Kansas City, with my friend Kathryne. They had a drink called the “Bohemian” on the menu — featuring gin, elderflower and grapefruit — which sounded refreshing on a warm day. 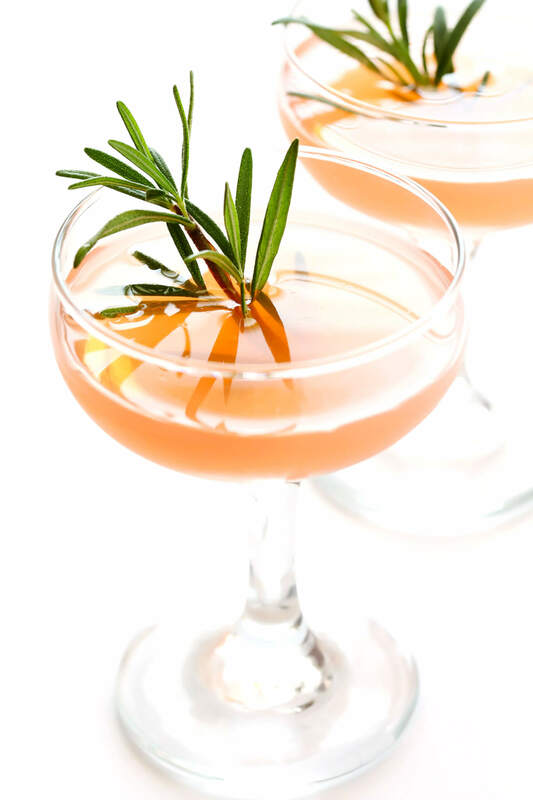 (Although when we googled it, turns out the combination is classically known as the “Frenchie” cocktail.) Whatever you call it, though, it totally hit the spot. And I, of course, immediately wanted to try recreating a version of my own at home. So I did some fiddling around with the proportions, and ended up landing on just a simple 2:2:1 ratio of gin, grapefruit juice and St. Germain. And it was perfection. Also, when you use store-bought 100% grapefruit juice (I was too lazy to juice the actual fresh fruit), it literally only takes a few seconds to whip one up! We invited our guests at the party to garnish theirs with a sprig of fresh rosemary, lavender, or sage (courtesy of my friend, Beth’s, garden). And I loved the extra subtle flavor that the fresh herbs gave to the drinks. This grapefruit and elderflower cocktail is quick and easy to make with gin (or vodka). 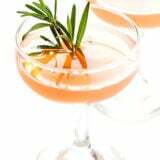 Combine the gin, grapefruit juice and St. Germain in a cocktail shaker with a few cubes of ice, and shake for 10 seconds to combine. 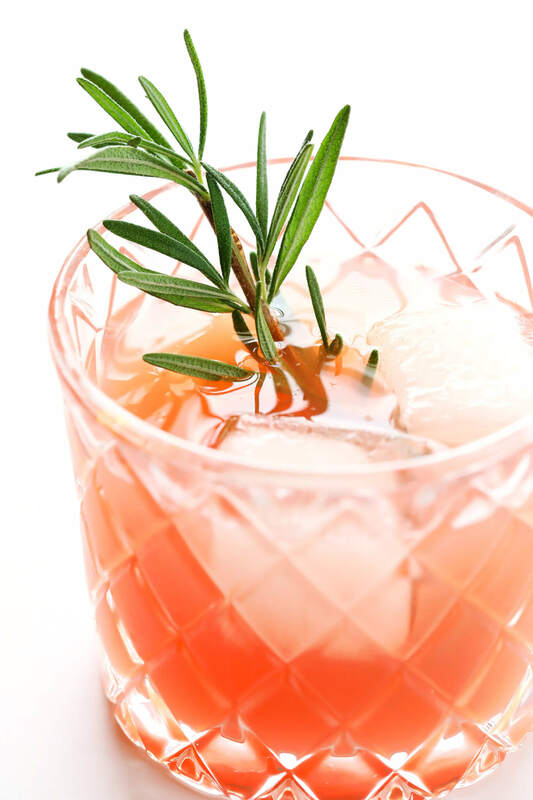 Strain into a cocktail glass filled with an extra ice cube or two, garnished with a fresh herb sprig if you’d like. Serve immediately. *If you’re not into gin, this cocktail could also easily be made with vodka.